Christiane has developed in-depth knowledge of the media industry. Her technical, partnership and content-management expertise are valuable assets for the rollout of Radio-Canada’s multiscreen content strategy. 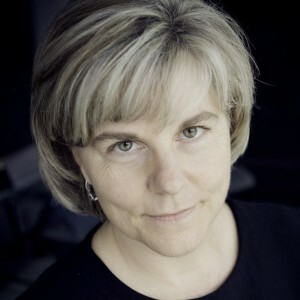 Christiane Asselin was appointed Director, Multiscreen Content and Programming, Web TV and ICI Tou.tv, for CBC/Radio-Canada French Services in March 2015. In this role, she oversees the on-demand video site ICI Tou.tv. Initially launched in 2010, ICI Tou.tv has emerged as one of Canada’s leading French-language content platforms, featuring a wide range of catch-up programming, international acquisitions, and original Canadian series. Christiane Asselin served as Télé-Québec’s executive director of digital media from November 2013 to March 2015. Previously, she was a partner and creative vice-president at Turbulent Media from 2007 to 2013. She then went on to work for Quebecor Media as director of variety, brands and multiplatform strategies and, later, as director of the Moi&Cie, CASA and Yoopa specialty channels. Christiane also has considerable experience in public broadcasting, having worked for nine years (1998–2007) in Radio-Canada’s TV New Media (now Digital Services) and General Television departments.